Syrian British Medical Society Press Release, 15th February 2016. Today, five healthcare facilities in northern Syria have been targeted by airstrikes, widely believed to have been carried out by Russian Air Force bombers. Scores of doctors, nurses, and other healthcare workers, as well as patients, have been killed or severely injured as a result of this criminal act. Furthermore, all targeted facilities have been rendered completely dysfunctional, depriving hundreds of thousands of civilians of essential life-saving healthcare. The start of the Russian airstrikes in Syria marked a significant increase in the targeting of medical facilities. In the month of October 2015 alone, the Russian Air Force has carried out more than 10 strikes(1) on hospitals in Idleb, Aleppo and Hama, resulting in the closure of six, as well as the death of 35 healthcare workers including at least two doctors, and serious injuries in substantial numbers of healthcare staff and patients using the facilities. At least six further strikes against medical facilities could be attributed to Russian Air Forces, bringing the total to a possible 16 in the first month of Russian air strikes(1). There has also been a similar increase in targeting schools and other civilian installations, leading to loss of life and serious injuries amongst teachers, school staff, pupils, and other civilians. The pattern of these airstrikes is significantly different from those experienced before the start of the Russian air campaign. Whereas the Syrian Government Air Force has resorted to indiscriminate bombing using the so-called “barrel bombs” dropped indiscriminately from helicopters, the more recent airstrikes seem to be specifically targeting medical facilities and schools, and seem to hit their targets with remarkable accuracy and with devastating results. All that coincided with the start of the airstrikes by Russian bombers. The SBMS is enraged by this latest development, and is deeply concerned about the safety of our staff, our patients, and our facilities on the ground. We deeply deplore the targeting of medical facilities and other civilian installations. We strongly feel that the Government of the Russian Federation and the Russian Air Force have a duty and a responsibility, under International Law in general, and under the Geneva Conventions in particular, to take every action possible to ensure the safety of medical teams on the ground, even in areas where combatants are operating. We wish to express to the Government of the Russian Federation, in the strongest possible terms, our profound concern that such precautions are not in place. 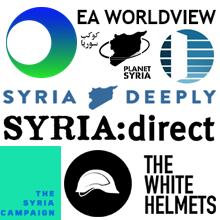 The Syrian British Medical Society would urge Her Majesty’s Government, the international community, and the international medical relief organisations, to condemn in the strongest possible terms the deliberate targeting of medical facilities, and to exert pressure on all parties to respect international laws to ensure the safety of medical installations and workforce. The Syrian British Medical Society was established in 2007 as a forum for healthcare professionals of Syrian descent working in the UK. 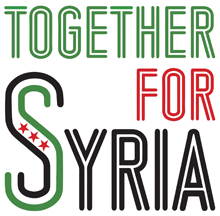 It is a non-profit, non-political organisation that aims at promoting the highest professional and ethical standards amongst British-Syrian Healthcare Professionals, and the creation and promotion of academic and professional links with the Healthcare Profession in Syria and related organisations worldwide. Since the start of the uprising in Syria in 2011, the SBMS has redirected most of its activities towards helping the devastated healthcare sector in Syria.